One of England’s oldest towns, and known as the ‘capital’ of Suffolk, Ipswich is a great place to kickstart your time in East Anglia. With its waterfront location right on the River Orwell, it’s luscious green parks, lively shopping streets and vibrant night life, there’s something for everyone and things that will appeal to all ages. Why not check out one of the towns many museums to find out all about its rich maritime heritage? Or catch a show in one of the grand theatres? Whatever you’re looking for from your time in Suffolk, you’re bound to find it right here in Ipswich. Located in, yep you guessed it, the market town of Framlingham, this stunning Norman castle was built in 1148 but was destroyed by King Henry II less than 30 years later after the revolt of 1173-74. Towards the end of the 13th century though, Framlingham was no longer a castle as it had become a luxurious Manor House instead, with enormous grounds and parklands that were used for hunting. Nowadays the castle has been restored to its former glory and remains largely intact. Owned by the English Heritage and named as a Grade 1 listed monument, Framlingham is open to the public and hosts various events and historical shows all year round. Founded back in 1636, when King James I was on the throne, Newmarket is a racecourse steeped in royal history. Over 30 years later, in 1671, the new King Charles II became the first and only reigning monarch to ride a winning horse right here at Newmarket. Nowadays, the thoroughbred horse riding venue is one of the most popular in England, with two separate racecourses named the Rowley Mile and the July Course. As well as horse racing, Newmarket hosts several big events throughout the year and are well known for their spectacular ‘Newmarket Nights’, a series of concerts during the summer, with 2019’s line up including the likes of Madness, The Kaiser Chiefs and Chic & Nile Rogers. GOLDEN TICKET SPA DAY OFFER! To celebrate the reopening of our fabulous hydrotherapy pool we have put together an exclusive one-time offer with limited availability. The first 20 people to book this Golden Spa Day offer will receive a complimentary upgrade worth £77 per person! What's included: *Welcome drink in our spa lounge *ESPA Natural Facelift Facial (80 minutes) *Delicious cream tea *Full use of heat & hydrotherapy facilities The first 20 to book will be upgraded to: *Welcome Drink in our spa lounge *ESPA Natural Facelift Facial (80 minutes) *Complimentary Hot Stone Back Massage (30 minutes) *Champagne Afternoon Tea *Full use of heat & hydrotherapy facilities Price per person: £137.00 To book your day of total relaxation call us on 01638 676130 – be quick though places are limited!! No visit to the great British countryside should be complete without a stay at a top hotel, and one with a spa is an added luxury that you won’t want to say no to. The Bedford Lodge Hotel and Spa should be top of your list, and with its 4 Red Star Hotel rating and it’s 5 Bubble Spa rating, it’s not hard to see why. Located in the middle of Newmarket, right opposite the racecourse, the Bedford Lodge is perfect for those looking for somewhere to stay after the races, or just for a night away in a peaceful setting. The hotel boasts the 2AA rosette winning Squires Restaurant for exquisite fine dining, as well as the trendy Roxana Bar offering Champagne and afternoon tea. If it’s the Spa you’re most looking forward to though, you certainly won’t be disappointed. With exciting features such as a rooftop hot tub, private mud rasul, hydrotherapy pool, experiential showers and even an ice fountain, you’ll never want to get out of your swimsuit! Located just a few miles from each other, these traditional English towns are a must see when in Suffolk. Long Melford is home to Kentwell Hall, a red brick Tudor mansion set in glorious gardens and farmlands offering a variety of events throughout the year, including open air cinemas and historic educational weekends. Long Melford is also reputed to have one of the largest High Streets in Britain, filled with shops, cafes and pubs. Sudbury on the other hand is a market town, with its twice weekly markets taking place in front of St Peter’s Church right in the town centre. Sudbury is also home to 18th century artist Thomas Gainsborough, with his house and birthplace, Gainsborough’s House, open to the public as a museum and art gallery, one of the towns most visited attractions. I could list many more things to see and do in Suffolk, but these are the main highlights I suggest you should see during your time in this pretty county. Have you ever been before? I’d love to know if there’s anything you think I’ve missed off this list! NB. This post was sponsored by The Bedford Lodge Hotel & Spa but, as always, all words are of course my own. Located in North Melbourne, these markets are one of the biggest in Victoria and attract thousands of people each week. With hundreds of stalls and market traders set up, you’ll find everything from souvenirs and ornaments to clothes, shoes and jewellery. Established in the 1860s, they are the largest surviving 19th century markets which continue to trade five days a week and are popular with both locals and tourists alike. I loved wandering around the markets on my first day in Melbourne; they were located just a 5 minute walk from my hostel (YHA Melbourne Metro) and were the perfect place to pick up a bargain before venturing into the city… don’t forget to pop into the meat and fish food courts for delicious snacks, meals and fresh local delicacies. 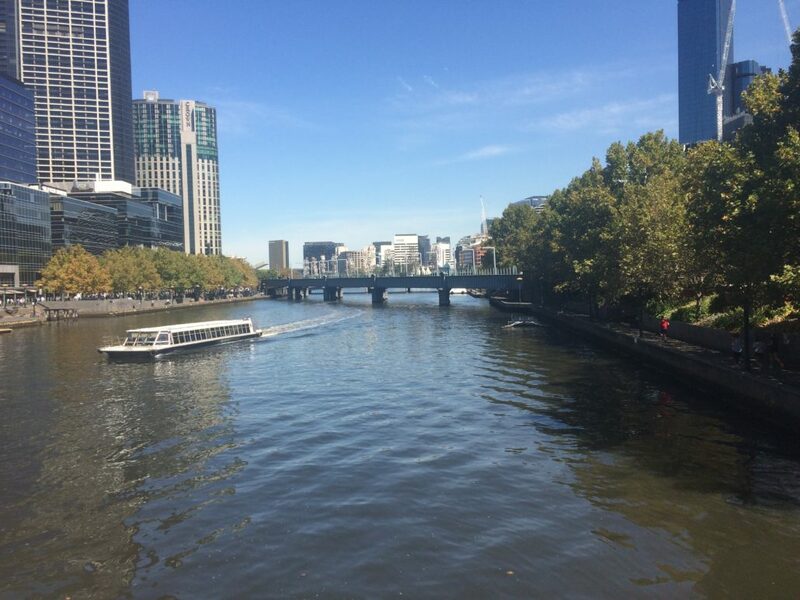 I wasn’t intending on seeing a huge amount on my first day in Melbourne as my jet lag was HORRENDOUS, but somehow I just kept walking and walking until I eventually came to this pretty part of the city which I had no idea even existed! After ending up at Federation Square, the focal point of Melbourne, I crossed underneath one of the cities many bridges and found myself walking alongside the River Yarra. A short stroll took me past all the impressive skyscrapers and right into the heart of the Southbank. This area is very much for the commuters and city workers and the vibe was much less touristy and much more local which I absolutely loved. Understated bars and restaurants were dotted between office buildings and apartment blocks, giving the area a real buzz and an insight into Melbourne life away from the tourist traps. After hours of walking I found myself desperately hungry and in need of some fast food, so I headed to one of the stalls on the main shopping street in the CBD and grabbed myself a bit of lunch which I devoured whilst doing some serious people watching. 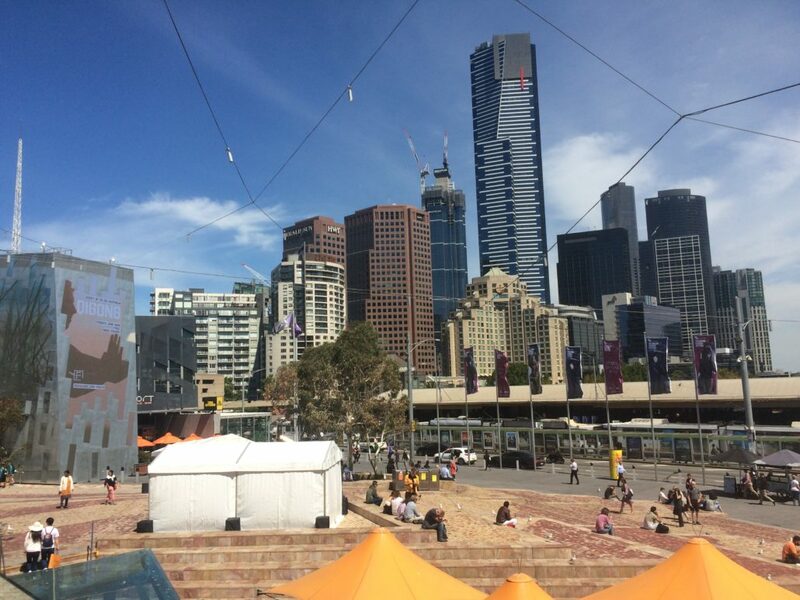 Located right at the heart of the city, and exactly opposite the landmark Flinders Street Station, Fed Square is brimming with people at any time of day, but particularly with commuters in the CBD taking breaks or heading to and from work. Home to a couple of convenience stores, museums, bus stops, tourist info stands, public toilets and even free wifi, the Square is the perfect place from which to recharge your batteries for an hour and watch the world go by. Located in the Southbank, just across from the River Yarra, the Eureka Skydeck is one of Melbourne’s most visited attractions. Standing 297m tall, and officially listed as the highest public vantage point in the Southern Hemisphere, this gold plated skyscraper is also home to the world’s first and only ‘Edge Experience’ – a glass cube projecting out from the 88th floor that suspends visitors high above the city for incredible panoramic views over Melbourne’s lively neighbourhoods below. There aren’t many places you can get a birds eye view, so this place is an absolute must see during your time here. I’d recommend going at dusk so you can see everything in the daytime and then watch the city come alive at night as it starts to light up after the sun sets. Sadly I didn’t get chance to do this during my time in Melbs, but I’ve heard that the beautiful St Kilda beach is one of the best things to see in the city. Located just a short tram stop (6km) from the CBD, St Kilda is a quirky area brimming with bars, cafes, shops and restaurants as well as plenty of hotels and hostels. The Esplanade hosts Australia’s biggest music festival every February, attracting crowds of 40,000+ to the huge event, which is completely free to enter. In addition, the iconic pier attracts beach lovers whilst the retro Luna Park is great for thrill seekers. 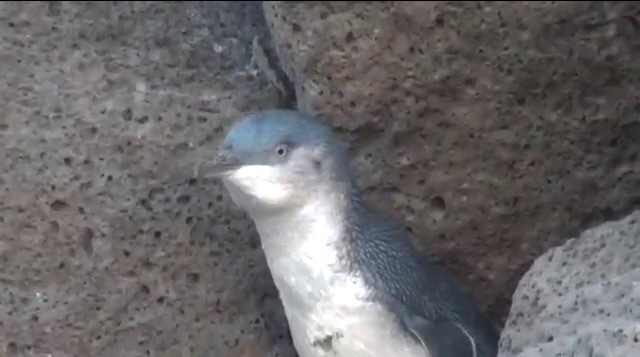 The famous penguins (pic above was kindly sent to me by one of my friends!) can be spotted every night of the year on St Kilda beach at the breakwater and the best time to see them is just after sunset. I drove past St Kilda when I left Melbourne to head on my tour of the Great Ocean Road, but I know I’ll be back one day to explore this fantastic part of the city. As you can see, Melbourne is a really diverse city with attractions appealing to everyone. If you’re a foodie and a shopper, the Queen Victoria Markets will be right up your street. 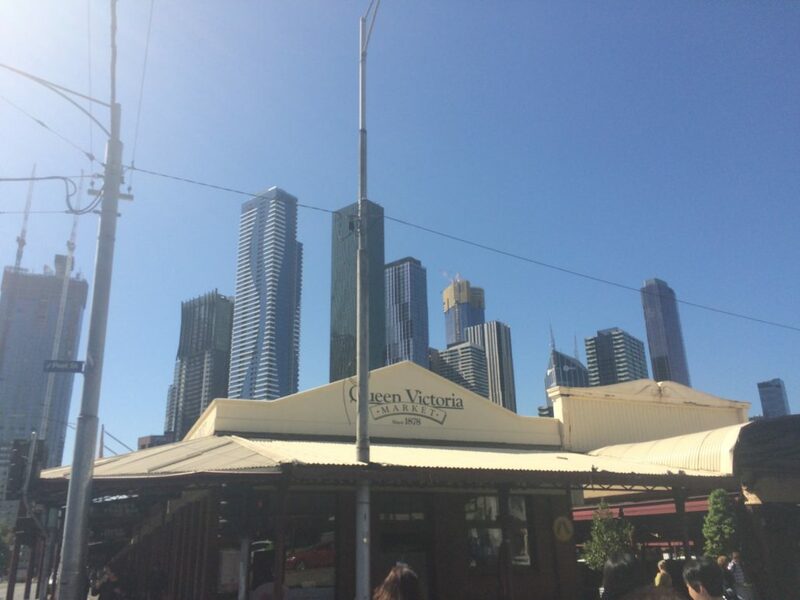 Or if you’re more of a sightseer, head to the River Yarra to hit up the Eureka Skydeck for awesome city views. I really loved my time in Melbourne and would definitely go back for a few days if I were to return to Australia in the future. 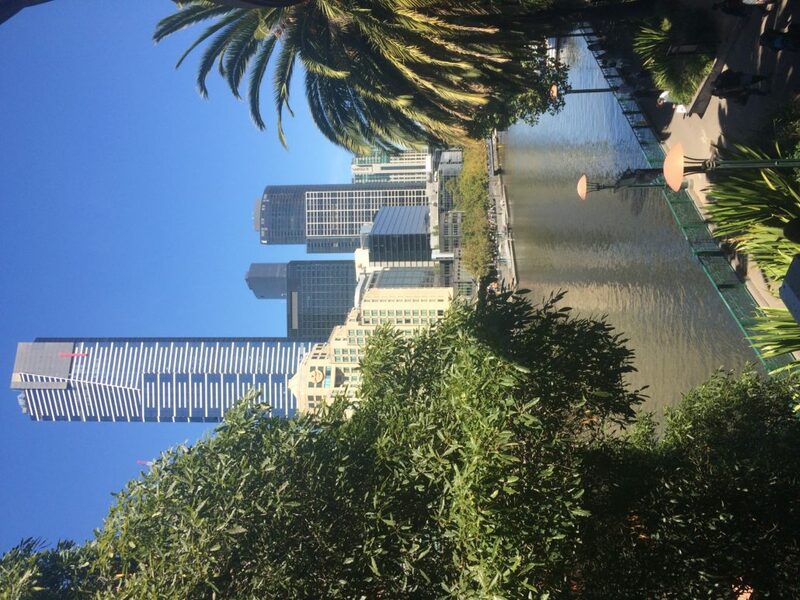 Have you been to Melbourne before? I’d love to know what you thought of it! NB. This post was sponsored by flight company JustFly but, as always, all words, thoughts and opinions are of course my own! It’s 2:30pm on a sunny Friday afternoon in February. It’s 15 degrees, unusually warm for this time of year given that we’re still in winter, and I’m sat on a rooftop terrace overlooking London’s epic skyline. Balancing my Uncle Ben’s rice pot in one hand, and my paperback book in the other, I’m savouring one whole hour of ‘me’ time whilst on my lunch break at the end of my first week as an intern. It’s a funny word, intern. It sounds alien, strange even, and makes me think of a character in some trashy American sitcom. At 26 years old, I’ve become an intern for the first time. I’ve done work experience in the past (as a shy 16 year old at an estate agents whilst doing my GCSE’s) but I never thought that I’d be in a similar position a whole ten years later. The truth is, I’m at a weird stage in my life. I’ve just quit my full time job at a luxury travel company in order to take a leap of faith, step into the unknown and trust that it’ll all be ok. Last week I returned from my epic trip to Australia, where I was on a 6 week adventure to try and ‘find myself’. It’s something I’d wanted to do for a long time, and I finally had the courage (and money) to be able to do it. Before that though, I pushed myself out my comfort zone in a totally different way. My two week internship was at the Sunday Times in London, working on their travel magazine department. I applied for the position after seeing an advert on Twitter, and didn’t expect to hear anything at all until I got an email back asking when I could start! I was so excited, and completely nervous, but really looking forward to trying my hand at something new, and gaining an insight into the world of travel writing on a professional level rather than just in the blogosphere. My first day didn’t get off to a great start. My train from Oxford was delayed after an attempted suicide on the line (poor soul) and it took me over 3 hours to get to London Bridge, where the office is based in the News Building, right next to The Shard. When I eventually turned up I was a bag of nerves; late, sweating, lost because Google maps had me running round in circles. It wasn’t ideal, but as I straightened myself out in the bathroom mirror and topped up my make up, I started to breathe and calm down; ‘you can do it Jess’ I whispered to myself, encouraged by a text from my mum wishing me luck. Week one has certainly been an eye opener. It’s so different to anything I’ve ever done before and not what I expected at all. I’ve been fact-checking, reading, researching and writing and I’ve actually taken on more responsibility than I thought, after having visions that all I’d be useful for was doing a bit of proof reading and making the tea. Don’t get me wrong, there have been times where I’ve had barely anything to do and have been twiddling my thumbs but, for the most part, I have been a busy bee and have been getting totally stuck in. Fact checking can feel like a chore at times, constantly having to read and re-read every word and every sentence to check that a) it’s correct b) it’s relevant and c) there are no grammar issues. It can be very repetitive, scanning through reams of text and analysing every single word, as well as ringing phone numbers and checking websites to make sure they’re correct. Although it’s tedious, fact-checking has been useful and has helped me understand just how much work goes in to a travel magazine, and how accurate you have to be before anything even goes to print. I struck lucky on the third day, when I was asked to write a piece for the Take Me There section of the magazine, which is the part where words are needed to complement eye-catching images that take up the entire page. I was tasked with writing a piece about Gdansk, a destination I’ve never even been to. Although I was super excited, my hands were trembling as I took to the keyboard. Usually I can bash out a paragraph of text in less than 20 minutes, but when you’re writing for a magazine, and you’re trying to impress people, things become a whole lot scarier. It took me around 4 hours to put that paragraph together, and I had to re write it twice after my feedback was that my writing was ‘solid’ but a little ‘guide booky’. Finally, after 3 attempts, my piece was approved and sent off to the publishing team ready to appear in the May issue of the magazine! I couldn’t believe it! I was thrilled that the team had even liked my writing, let alone approved it to be published, and getting a by-line in one of the UKs biggest travel magazines will surely give my CV an added boost. By the end of the second week I’d done even more fact checking and researching, as well as putting together some ideas for the next issues Take Me There section. I’d also spent a few hours going through the magazines’ Instagram account and giving it a little critique, sharing my feedback and passing on some ideas of how to improve it. This is something I really enjoyed, and it made me realise just how much I love social media, although I’m not sure I could do it as a job! The rest of the week was spent assisting the team with anything they needed and I got a real feel for magazine and editorial life. Unfortunately I had to cut the internship short by a couple of days due to issues with my commute from Oxford, but I still feel I had a good amount of time in the role. I don’t ever want to live in London. Nobody talks to each other, everyone’s rushing around in a hurry and in truth I found it a little lonely. Sure I love visiting London, but gimme back my countryside life any day of the week, I am so not a city girl! I don’t actually want to go into journalism. 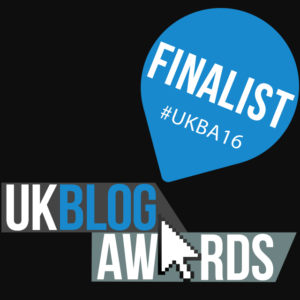 I love writing, but I love blogging more. I love the freedom and creativity that comes with blogging, and I love the voice it gives me. Journalism is very strict and formal and I just don’t think it suits my style and my creative streak, but it’s not a bad thing, I’m glad I’ve discovered this now rather than paying to do a journalism course or taking a job on something I wasn’t sure about. Have you ever done an internship before? How did you feel about it? I’d love to know what career breaks you’ve taken before. Big thanks to Alex and the rest of the Sunday Times Travel Magazine team for looking after me during my internship! Set in a historic building that has been a hostel since the Victorian era, this place was first used in 1865 as a base for sailors before their overseas trips. 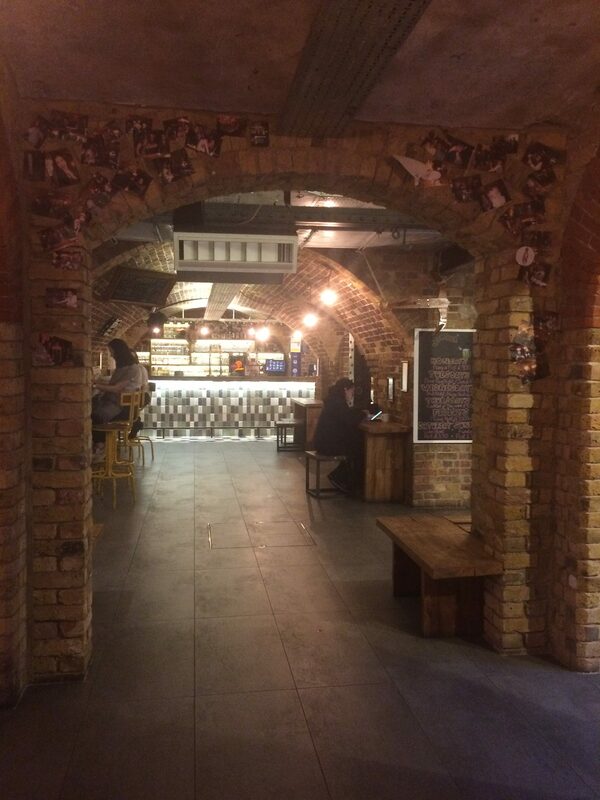 Situated on Dock Street near Wapping, just 5 minutes from the historic St Katherine’s Docks, Wombats London City is perfectly positioned to explore everything that the Great British capital has to offer. After an easy 25 minute walk you’ll reach the likes of The Shard, City Hall, the Tower of London and of course the iconic Tower Bridge. 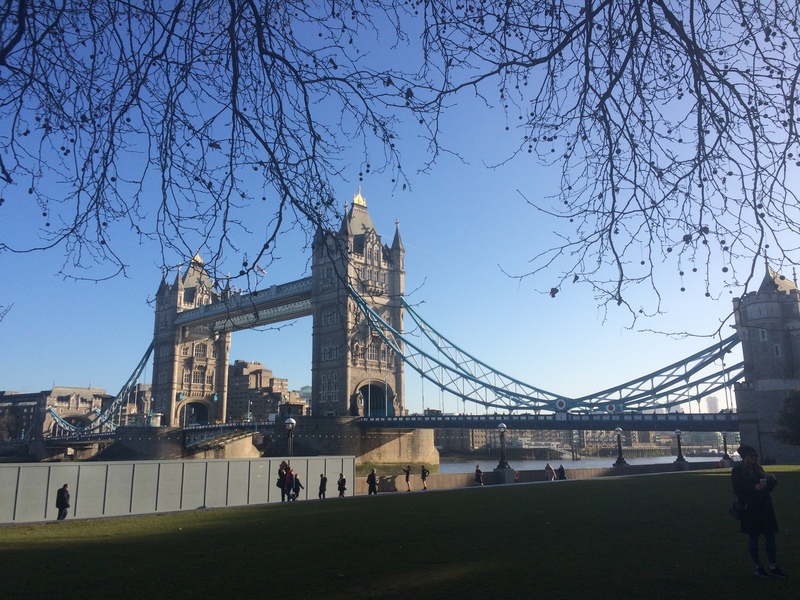 I was working in offices at London Bridge, right opposite The Shard, and chose to walk each day so I could really get to know my surroundings and it was so much better to soak up the fresh air and riverside views rather than commuting by tube. If you do need to use the tube during your stay though, you’ll find Tower Hill is the nearest station, just an 8 minute walk away. I stayed in a private, en suite double room which was comfy, clean and had everything I would need for my two night stay. I couldn’t believe it was a hostel as it totally had the feel and style of a hotel, but without the expensive price tag! 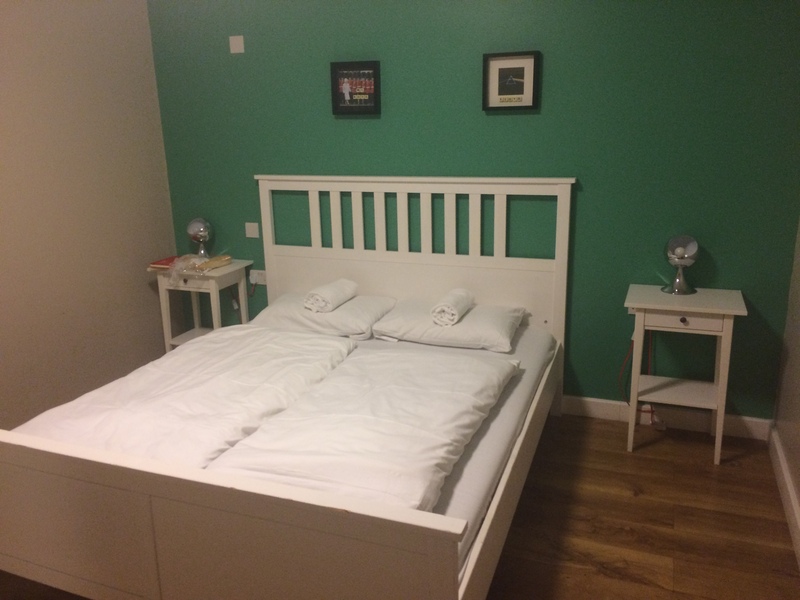 The double bed was comfortable and there was plenty of floor, wardrobe and draw space to use. The bathroom was clean and modern with the most incredible rainforest shower which I just didn’t want to leave in the mornings! I definitely felt that my room gave me a little bit of luxury, and total privacy, which was really important to me for this particular stay. Obviously I can’t comment on the dorm rooms, but I’m sure they were of a similar quality throughout, minus the privacy of course. Wombats offer a variety of private and shared rooms at an unbeatable price. The staff at Wombats were so fun and friendly and really made me feel welcome throughout the duration of my stay. I didn’t check in until after 9pm as I’d had a long day at the office and then met a friend for dinner, but despite my late arrival everything went smoothly and I was shown to my room right away. I was presented with two breakfast vouchers and two drinks vouchers to redeem during my stay, and was told where to find the communal areas such as the bar, kitchen and dining area. Everyone was super friendly and I really felt that I was looked after during my stay. This hostel has everything you’d need for a comfortable stay and offers plenty of things to do whilst on site. The breakfast area doubles up as a bar in the evening, with comfy futons, plenty of chairs and a big screen for watching sports events with fellow guests. There’s a communal kitchen for those of you who want to cook instead of eating out, and there’s also a courtyard patio and a pool table. I didn’t spend much time in the communal areas as I was staying for business not pleasure (sadly) but I had breakfast both mornings and used the kitchen to cook a meal on one of the evenings and found both areas to be absolutely fine. There were plenty of people around, but I didn’t really stop to chat or get to know any of the other travellers as I was short on time what with having to get to and from work each morning and evening. There was a good atmosphere in and around the hostel though, with plenty of groups and other travellers staying, so I think the bar would have been a great place to meet new people if I’d had the time to check it out properly. 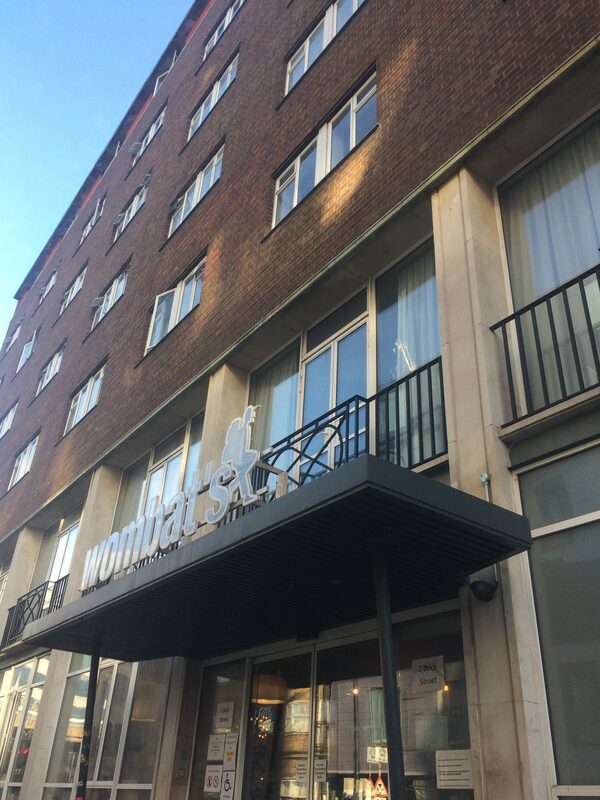 As you can see I had a great stay at Wombats London and would definitely recommend this hostel to anyone looking for budget friendly accommodation in a fantastic central location. Having a private room was brilliant whilst I was doing my internship as it gave me somewhere relaxing to come back to after a busy few days of office life. I would most definitely stay at another Wombats if I ever needed accommodation in any of their other European cities and I wouldn’t hesitate to book their London hostel again. Thank you Wombats for an awesome stay! NB. My 2 night stay was provided complimentary to me on a B&B basis as I was a guest of Wombats for the purpose of this review but all thoughts, opinions and photos are of course my own.